Social media devotees are being encouraged to “take back control” and stop scrolling through their feeds for an entire month. The Royal Public Health Society is behind Scroll Free September, which is targeting users of Facebook, Instagram, Twitter and Snapchat. It believes logging off could improve sleep, relationships and wellbeing. 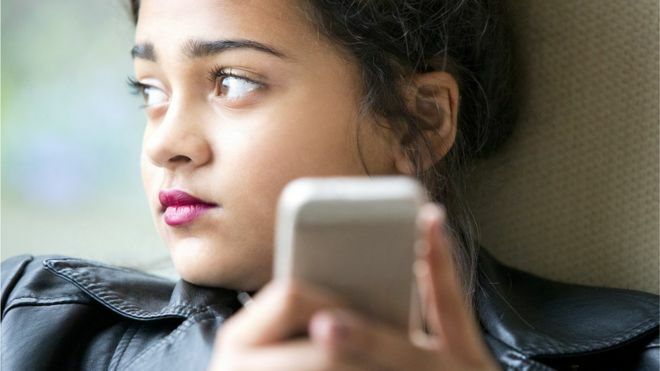 NHS England said it was right to highlight social media’s role in a rise in young people’s mental health issues. The campaign is asking phone addicts to give up, or cut down on, their use of personal social media accounts. Half of users aged 18-34 think going “cold turkey” for a month would have a positive effect on their sleep and real-world relationships, research by RSPH found. And almost half (47%) thought it would be beneficial to their overall mental health. Marianne Blandamer, Emma Jackson and Rianna Parry are all big fans of Snapchat and Instagram. “It’s constant. I go straight to it when I get up. You feel like you have to keep up with what everyone is talking about,” Rianna, 15, said. This September, the Wigan teenager is going to try and stop using social media in the evenings. Her friend Emma, also from Wigan, said she always had her phone on her. “I think I do use it too much, but it’s a habit. It’s definitely distracting,” the 14-year-old told BBC News. Emma said she could not see herself giving it up completely, but would try to avoid looking at social media when she got home from school every evening. Marianne managed to give up social media during her GCSEs. This September, Marianne will start sixth form where she will be allowed to have a phone with her, but she has decided not to use it. 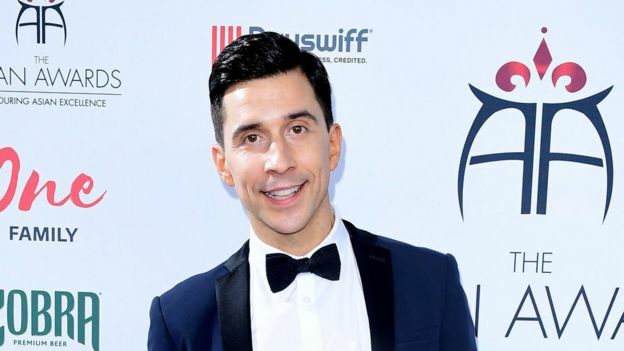 Comedian Russell Kane, 42, has revealed he is having counselling for internet addiction. “I was getting in, say from a gig, going back on a Sunday morning, and all my family’s arrived to a barbecue and I’ll go and get changed. “But I wasn’t just going up there to get changed, I was going up there because I wanted to refresh my socials and have a few minutes on the phone. The RSPH’s Shirley Cramer said social media had “great potential to have positive impacts on mental health and wellbeing”, by connecting people. But for many young people, the overall impact could be detrimental, she added. The RSPH report warned that social media could be fuelling a mental health crisis in young people – with Snapchat and Instagram the worst culprits. NHS England’s national director for mental health, Claire Murdoch, said everyone – including social media giants – needed to take responsibility to tackle the “mental health epidemic in the next generation”.